Our adoption journey was a long simmering process. We were married for fourteen years before we brought two wonderful and lively children into our home. In the years leading up to our adoption, we had a desire for children, but it took time for this desire to go from a simmer to a boil. For years, we continued this cycle of analyzation and prayer. We asked God to give us some kind of miraculous "sign" or writing on the wall to confirm that He wanted us to adopt. Our "sign" came, but not in ways that we expected. Slowly, our hearts began to soften and break towards the countless number of vulnerable and neglected children. I grew up in an amazingly loving family that modeled sacrificial love. As I got but a glimpse of the millions of children who went to bed every night without this love, I was filled with this complex mix of gratitude and heart-break…Heart-break towards the wandering children without a place to call home, coupled with a deep gratitude to God, and top that with gratitude towards my own loving earthly parents… Our prayer for a sign clearly became a hole in our hearts that spilled into us this longing to parent. We embraced this and simply took the first step and we have not looked back. 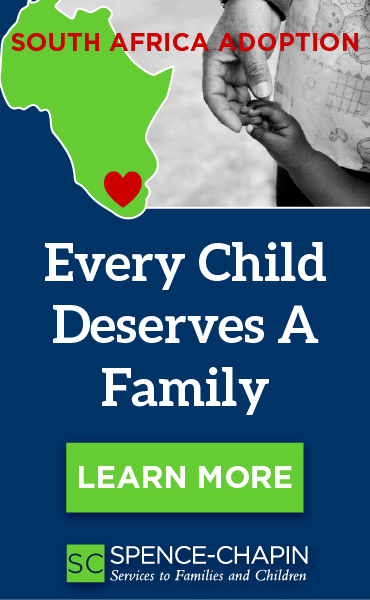 Deciding to adopt is the first and necessary step that propels all future decisions. This may sound obvious but that clarity and confidence is essential because the adoption process is not for the faint-hearted. Thankfully we had done our “homework” and we were somewhat prepared for the stream of paperwork and logistics that would continue for the next year and a half. My husband and I had a heart for siblings and also a heart for Latin America, and as I was researching sibling adoption in regions that we had visited (Nicaragua and Mexico), the Lord opened wide the door to Costa Rica through Lifeline. Not long after submitting our dossier, we were matched with our children. We received their files and committed to adopting them not long after. We even got to talk with them on the phone and send gifts before we travelled to meet them. I don't want to paint an unrealistic blissful picture of the adoption process because there were obviously challenges and snags. The way of life in CR (Costa Rica) is referred to as "Pura Vida" (translated " good life/pure life"). This motto was exemplified in the atmosphere and culture of the people of CR. We have discovered that adoption, like childbirth, is a miracle, and the process of bringing your children home is simply the beginning of the journey. When the process seems long (and it will! ), we remind ourselves of God’s pursuing love that does not give up. When we get weary (and we do! ), we remind ourselves that we are all orphans, and God is on a search and rescue mission to provide lasting hope. We are learning that home is a wonderfully messy place that offers a reservoir of safety and assurance where love is fully given and fully accepted. We move forward, one day at a time, through thick and thin, solely-with and through -God's grace. As parents, we are learning to ask for forgiveness, as much as we grant it. Parenting Jenny and Jefferson is a joyful adventure that we rely on God's grace for daily wisdom. 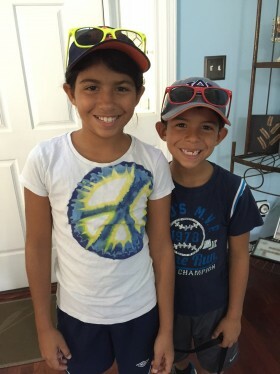 The decision to adopt siblings from Costa Rica was probably the best decision that we have both ever made, and we want to encourage anyone who is considering it to move forward!